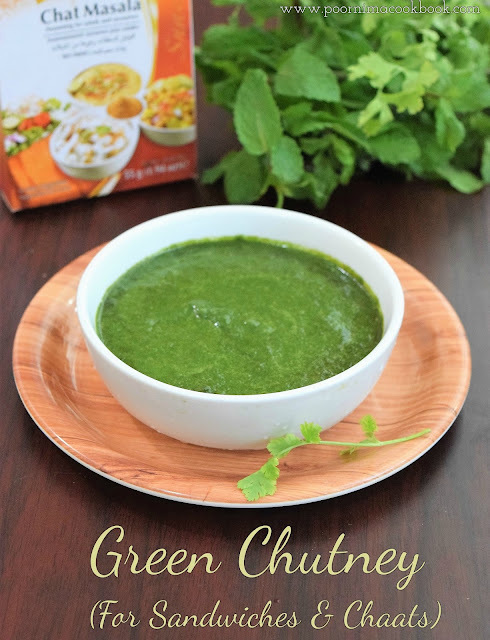 This green chutney gives refreshing look and taste & also easy to make using ingredients easily available in most homes. This green chutney can be used as sandwich spread or dressing for chaats. You can also serve it along with samosas, tikkis, cutlets as a dip. Some people prefer to add garlic instead of ginger in chutney. Try according to your preference. 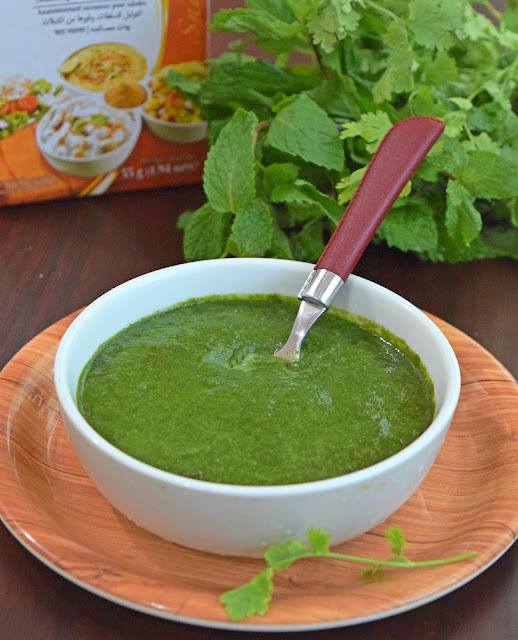 Add corriander leaves, mint leaves, ginger and green chilies in a mixer; grind it into fine paste by using water. Once you remove from the mixer add chat masala, vinegar / lemon juice and salt; mix well. Store it in a air tight container and refrigerate. You can store upto one week in fridge. Adjust the green chilli amount according to your preference. You can use garlic instead of ginger.